Karaga, one of the oldest festivals in Karnataka, is an 11-day celebration to worship Adhi Shakti in the form of water. This festival is said to have begun during the period of the Mahabaratha and the Thigala community have kept this festival alive for many centuries. It is believed that, following the epic Mahabaratha, the Pandavas prepared to leave for heaven. But before their departure, their wife Draupadi collapsed and they moved on, thinking that she has passed. When Draupadi regained consciousness, a demon named Timirasura attempted to kill her. Thus, she transformed into Adi Shakthi and created an army of Veerakumaras to defeat the demon. The Thigalas are believed to be the descendants of Veerakumaras. Before leaving for heaven, Draupadi promised to return to earth during the festival to bless her people. The preparation for the festival begins months before the celebration. 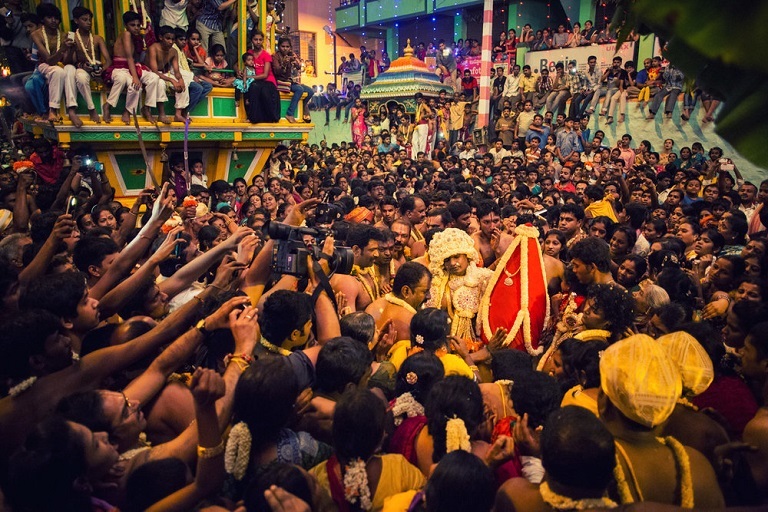 The karaga bearer is picked six months before the celebration and goes through rigorous rituals. He assumes the persona of a woman, wears his wife's mangalsutra (thali) and bangles, while his wife takes the form of a widow. The couple is separated and forbidden to see each other for the next six months and will be remarried again once the festival is over. The karaga bearer stays confined in the temple premises and goes on a fruit and milk diet, to prepare himself for the big day. Karaga is an earthen pot which is covered with a floral pyramid, and a small figure of the goddess is placed with a silver umbrella on top. The content of the karaga is however kept secret. The first day of the festival begins with the erection of the flag pole in the temple. The festival is conducted to worship Adi Shakti (in the form of Draupadi), the protector of life, which is what the water does in reality. 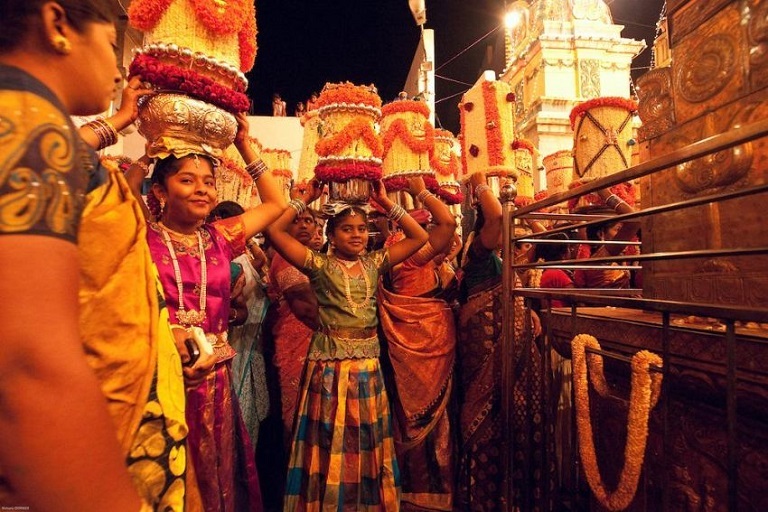 Thus, the festival is also seen as a thanksgiving ceremony to the water bodies. The Gange Puje ritual is performed throughout all the 11 days in different water bodies. At midnight on day 10, the procession of the Karaga starts. It reaches the temple in the early morning after passing through the many lanes in the city. 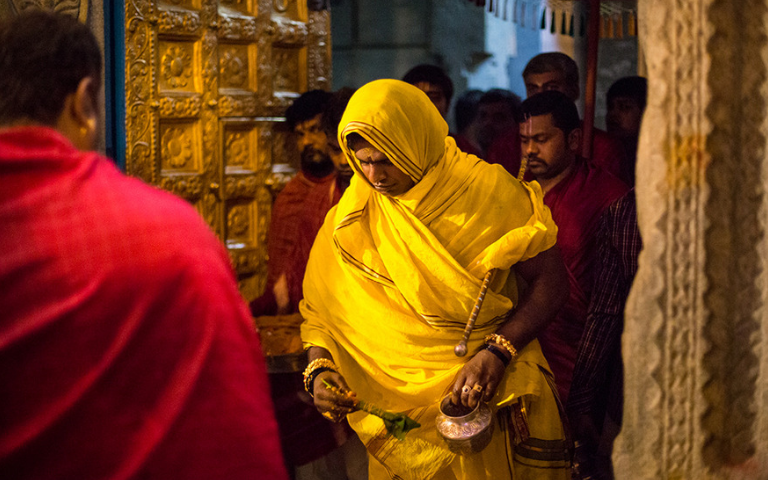 The bearer, dressed as a woman, carries the karaga the entire time without touching it with his hands. He is surrounded by a group of Veerakumaras who carry uncovered swords. It is said that the Veerakumaras have to stab the bearer if he loses balance and drops the karaga. But no such misfortune has happened to-date. 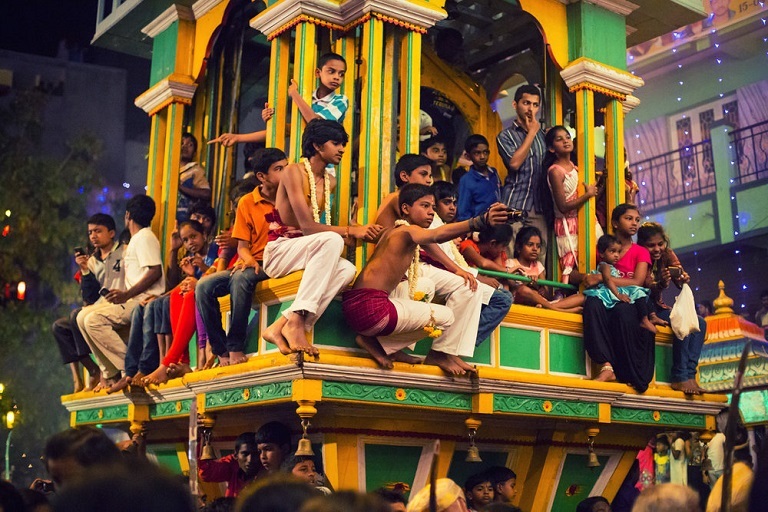 The festival ends with the splashing of turmeric water, and the Karaga is immersed in a saltwater pond.